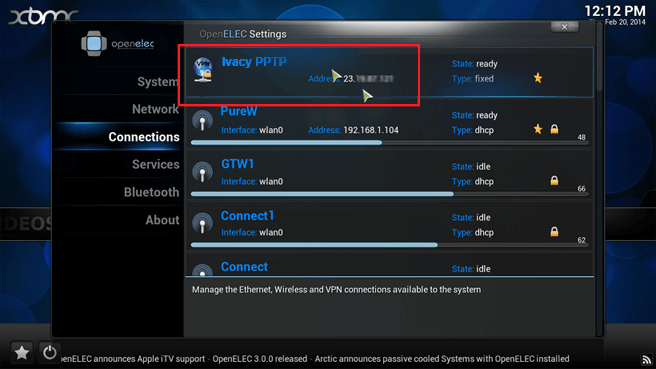 In order to set up, OpenELEC on Ivacy VPN with point-to-point tunneling protocol (PPTP) manually for your Windows client, you must ensure that your internet connection works fittingly well with the PPTP protocol. 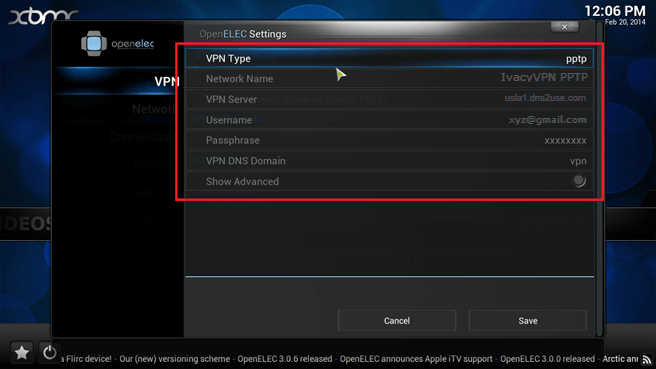 Do remember that OpenELEC supports PPTP and OpenVPN protocols. If you are using a Wi-Fi router, you must also enable PPTP ‘Pass through’ option of your router. You must also ensure that you have subscribed to IvacyVPN account. If you haven’t subscribed as yet, you can subscribe for Ivacy VPN here. 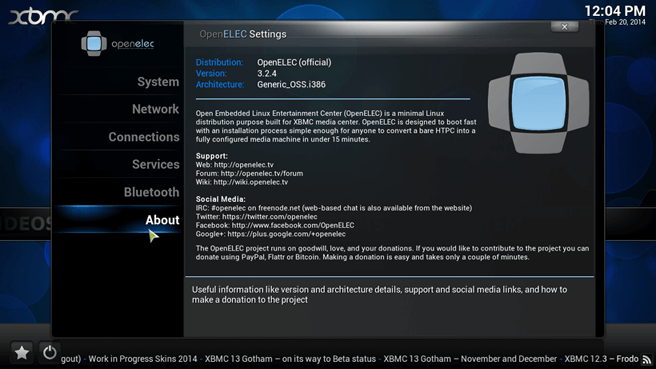 Navigate to ‘System’ and select ‘OpenELEC’. On the left hand side, you see some options. 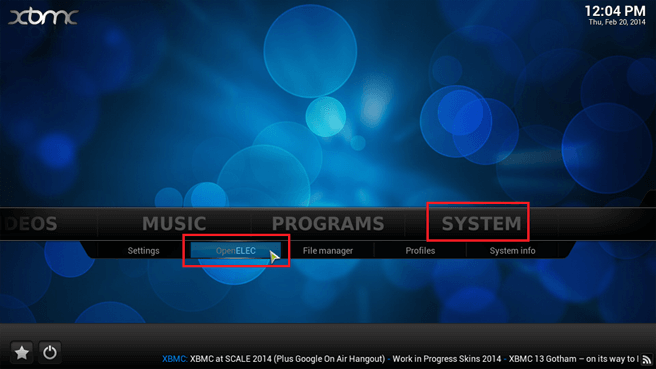 Click on ‘Network’ option. Now click on ‘Add new VPN configuration’ option. A new window will open up. Click on ‘VPN Type’. A new dialog box will open up. Select the ‘pptp’ option. Again, a new window with multiple fields will open up. In the ‘Network Name’ field, type, ‘IvacyVPN PPTP’. In the ‘Server Name’ field, write the name of the server that you desire to use. (List of all Ivacy VPN servers is available here.). In the ‘Username’ field, type your ‘ email’. In the ‘Password’ field, type your ‘password’. 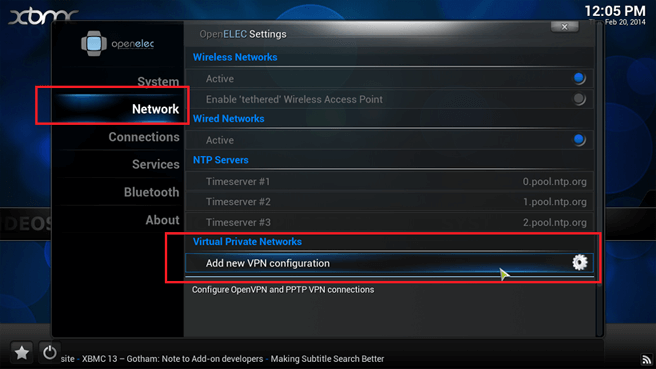 Keep the ‘VPN DNS Domain’ as ‘default’. Click on ‘Show Advanced’ option. Select ‘Refuse EAP’. Click on ‘Save’ button. A new window will open up. On the left hand side, you will see different options. Click on ‘Connections’ option. 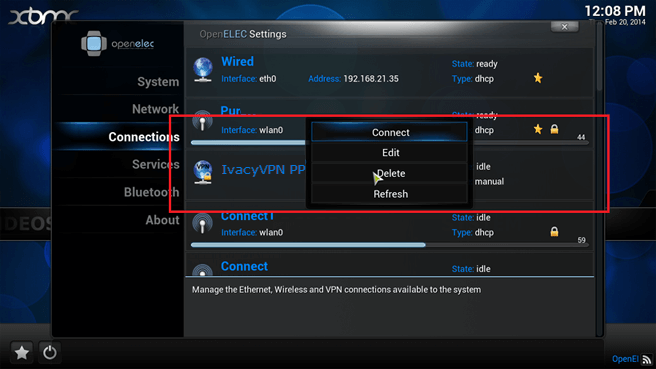 Click on the newly established ‘IvacyVPN PPTP’ connection. Hit ‘Connect’ option. Wait for a while. On the bottom right corner, a pop-up ‘working…’ will appear. The ‘lock icon’ will appear. There you go! IvacyVPN PPTP connection is established. 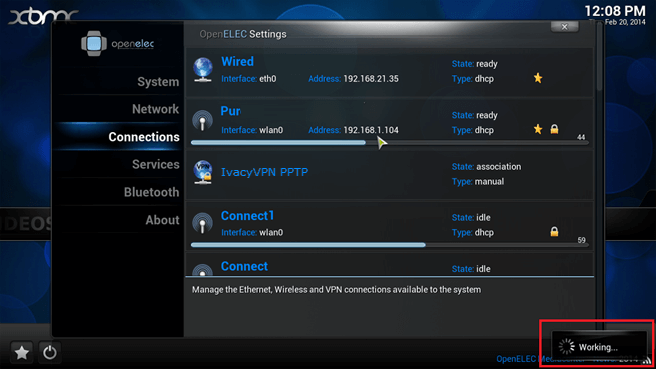 Enjoy complete privacy with Ivacy PPTP VPN on OpenELEC. To disconnect, click on the established connection and hit the ‘Disconnect’ option. 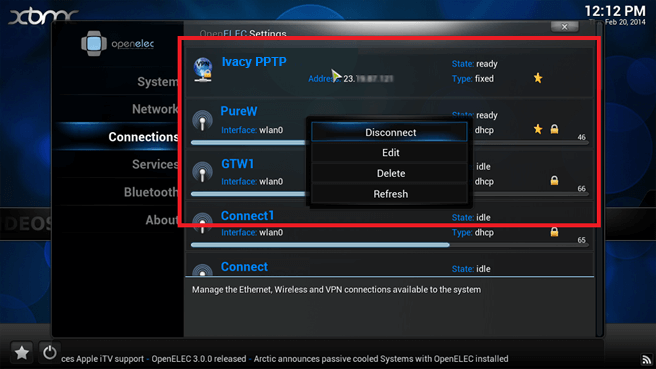 If you face any issue, do check if the PPTP pass through option is enabled from your router or not. Disable your Wi-Fi Router or Modem Firewall temporarily, and try again. If it works, use TCP port 1723 for PPTP connection.